Great (or common) mullein are used to make an excellent tea, full of health benefits. 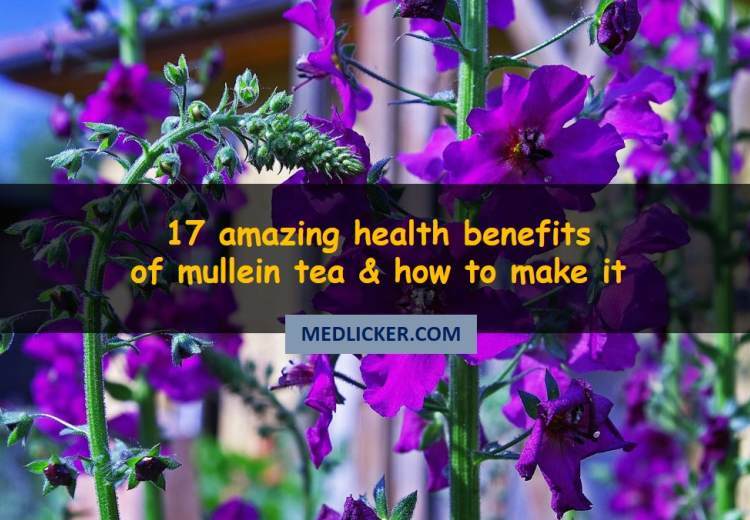 Here is a detailed evidence based overview of healt benefits of mullein tea. How to prepare mullein tea? Scientific name for mullein is Verbascum thapsus (great mullein or common mullein) and it is originally native to Asia, North Africa and Europe and was gradually introduced in Australia and America (1). Verbascum thapsus has broad native origins from North Africa, Asia and Europe to East to Western China, British Isles, Scandinavia, Siberia and Southern Himalayas. In Northern Europe, it grows from sea level up to an altitude of 1,850 meters and in Western China it grows at 1,400–3,200 m altitude. Mullein or Verbascum thapsus, is a tall and stoic plant, sometimes reaching a height of up to ten feet. Its conventional name mullein is extracted from the Middle English word moleyn, which means soft. Verbascum is a modification of the Latin word barbascum, which means bearded. This was due to its furry foliage. The Greeks had their own name for mullein in ancient times. They called it fluma and flego, meaning “to set fire.” Its leaves were dried and rolled, used in oil lamps as wicks, and its stalks were used at funerals. Settlers brought mullein in Europe for medicinal herb gardens in early 1600’s. By the 1800’s use of mullein had spread from east coast to west. The Native American Indians found mullein to be very useful as a medicinal plant. European settlers initially introduced the plant to them. But the Indians also used its root for its medicinal properties. Native tribes used mullein leaf tea for treating inflammation, colds and rheumatism. It was considered to be anti-inflammatory, antispasmodic, analgesic and expectorant. Its demulcent and astringent properties were found to be useful in treating diarrhea. The root was dried and made into teething charms for infants and children. It was used to prepare sweet tea for coughs and persistent swelling of larynx. An infusion of the root was used to treat renal troubles, and a leg bath was made if there was ever water retention in the lower body. Extracts and herbal tea made from infused root were also used to treat infections and athlete’s foot. To reduce swelling and relieve pain, mullein leaf poultices were applied externally to sprains, bruises, and rheumatic pains. And a leaf well soaked in warm water was applied to swollen glands. Dried mullein leaves were smoked for curing respiratory disorders.Leaves were dried, rolled and smoked for management of bronchitis, asthma and tuberculosis. It was found to relieve cough, and alleviate discomfort, pain and inflammation associated with these respiratory disorders. Mullein leaf was a popular choice in spiritual healing rituals as well, and was burned or smoked together with other plants. The Hopi used mullein leaves in cures for fits of mania, and those who were mentally unstable. It is a plant of biennial nature and hairy form that can grow up to three meters tall or more. It has small yellow flowers that are thickly clustered on a tall stem, which appear from within a large group of leaves. It is found in a varied range of habitats, but is more largely distributed in places which receive plenty of sunshine and it emerges from toughened persistent seeds in the soil seed bank. It is a widespread weedy plant that germinates by prolifically producing seeds. Its seeds require open ground to germinate therefore its reproduction is not aggressively invasive. It also gives home to many insects, many of which can be detrimental to other plants. Even though they are easy to terminate one by one by hand, large populations are difficult to abolish permanently. It is mostly used for herbal remedies, with well-known emollient and astringent properties. Mullein remedies are especially useful for coughs and related problems, but also used in topical applications against a variety of skin problems. Mullein has also been used to make dyes and torches. Mullein leaf extract was used as a treatment for tuberculosis in Europe as early as the 16th century. A study in the 18th century found that mullein relieved the symptoms of several tuberculosis patients at St. Vincent’s hospital in Birmingham, England. It was widely believed that if mullein was used in initial stages of the disease, it could bring about a full recovery. Today, scientific experiments and medical studies have shown that mullein has expectorant and anti-bacterial properties, both of which are needed in treating this respiratory disorder. Although its effects against mycobacteria, the bacteria that causes tuberculosis, have not been studied extensively, it has been studied against other bacteria with positive outcome and great success and other plants belonging to same species as mullein have been specifically studied against mycobacteria with success (2, 3). More research is required but the benefits of mullein as a natural treatment for TB is promising as can be gleaned from historical evidence and modern studies. As discussed before, mullein leaf extract has expectorant and anti-bacterial properties, which makes mullein tea a great home remedy if you have flu or a cold with lots of congestion. According to medical researchers, the saponins present in mullein give it its expectorant properties (4, 5). Mullein also helps to reduce the amount of mucus produced in body and reduces congestion. Mullein tea is an effective remedy for treatment of bronchitis, asthma and allergies due to the same factors that it is helpful against tuberculosis, flu and cold – it is a natural expectorant, anti-inflammatory, antibiotic and reduces congestion (6). Mullein is regarded beneficial primarily for respiratory ailments, and while its applications are actually much wider than that, it definitely is exceptional in its healing and protection of respiratory disorders and breathing problems. For cure of pulmonary disturbances primarily the leaf is used. Its use is indicated whenever patient has a tight yet wheezy hacking cough, particularly where the wheezy cough tends to appear and disappear, indicating constrictions beginning to become chronic. It is not only an expectorant and soothing, but it also helps prevent infections from spreading and settling into the delicate tissue of respiratory system. This makes it brilliant in a large assortment of respiratory disorders, wherever there is constriction or dryness, including multiple cases of bronchitis, asthma and other chronic respiratory disease or distress. Matthew Wood observed that in several cases where this remedy is appropriate, there will be concomitant pulmonary and renal weakness. The flowers and leaves of mullein are useful when used in many chest infusions, and even though it does not have the medicinal penetrating volatile oils of the typically used mint, eucalyptus and so on, the aromatics of those herbs combine well with Mullein tea and seem to transmit its lung healing effect much further into the body. Mullein tea is a natural anti-inflammatory owing to the verbascoside present in it. Verbascoside is caffeic acid sugar ester and phenylethanoid (7). Mullein contains naturally occurring anti-bacterial properties. Mullein's anti-bacterial traits make it useful in treating infections. It has been used to treat tuberculosis as it inhibits growth of mycobacterium, the bacteria which are the culprit behind this disease. This is due to the verbascosides it contains. 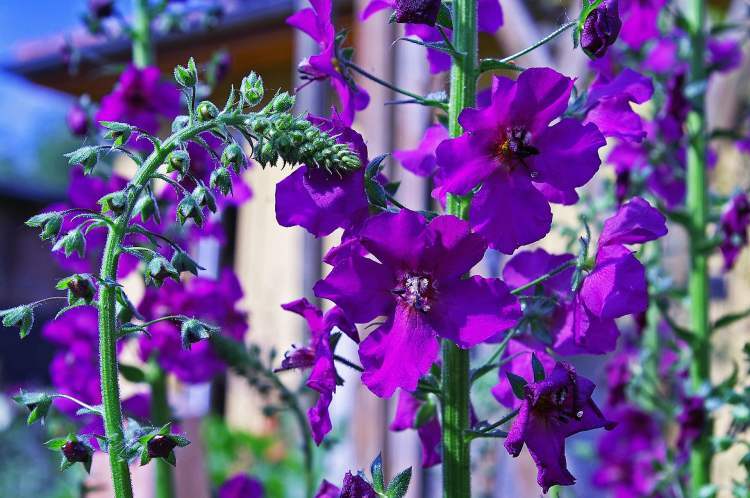 Medical studies have found that verbascoside works exceptionally well against Staph infections (8). Drinking mullein has been found useful in curing a wide array of digestive problems such as constipation, hemorrhoids, diarrhea and bladder infections. It is occasionally also used to get rid of intestinal worms (9). Mullein tea has anti-spasmodic traits that help relieves stomach cramps or menstrual cramps linked with gastric distress (9). Mullein tea has natural sedative benefits and is beneficial in the treatment of anxiety, stress and insomnia (10). Application of dried mullein tea to irritated areas of skin may help you achieve relief from the discomfort allied with conditions such as a burn, rash, blisters or cuts. Because mullein is anti-inflammatory and antibacterial, it will also help relieve any skin conditions caused by inflammation or bacteria. Mullein tea has anti-inflammatory effects which help in easing the pain associated with muscular or joint pain by decreasing swelling and inflammation (11). According to a research article published in "Evidence-Based Complementary and Alternative Medicine" in 2010, tea prepared from mullein leaves is conventionally used as an expectorant because it helps drive out mucus from the chest. The anti-rheumatic and expectorant properties of mullein tea cause patient to cough and expel mucus from lungs and throat. It also lubricates your respiratory surfaces while reducing swelling, which relieves irritation (12). Dry skin is a commonly experienced problem during harsh cold winter months. But your days of worrying over dry, flaky skin are over. Just drink mullein leaf tea and let it hydrate you. There are numerous benefits of drinking tea made from leaves of this amazing plant. Mullein is abundant in many beneficial vitamins, such as vitamins B2, B5, B12, vitamin E and vitamin D. So it helps in boosting your bone health and also helps in increased absorption of calcium. The B group vitamins can help regulate your hunger patterns and facilitate weight loss. If you are trying to lose a few pounds, prepare a cup of mullein tea and drink it daily. Mullein tea is a powerhouse which boosts content of minerals, flavonoids and choline in body. You can get your daily ideal dose of magnesium by drinking mullein tea (13). Mullien tea can be used as an antiseptic for minor burns and open wounds. Just brew an infusion of the flowers and dab it on cuts, wounds and burns, not only will it give an analgesic and soothing effect, it will also help heal the wound more rapidly than most drugs. Mullein tea also has the ability to fight skin infections, such as ringworm. In patients who are suffering from thyroid problems, it can help improve thyroid function. Its cleansing properties prevent infections of bladder and urinary tract. Mullein tea is used as an antioxidant. This infusion balances the bowels and can be used to treat both constipation and diarrhea. In topical applications, cooled mullein tea helps soothe and reduce hemorrhoids because it has high content of mucilage. 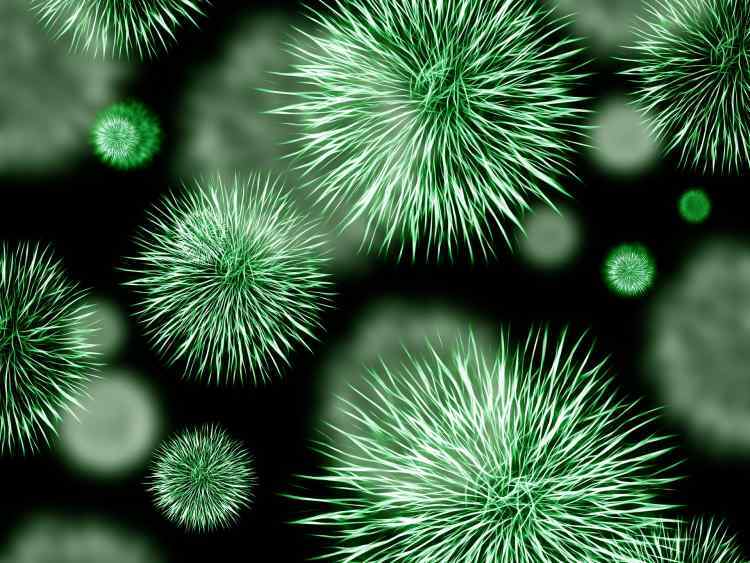 This brew has antibacterial and antiviral properties. Therefore it is an efficient cure for wounds and sores to keep them clean and prevents infections. It is a soothing and calming agent when topically applied to skin rashes and burns and increases rate of healing. The seeds of mullein have high rotenone content. It is a potentially harmful and toxic substance which can cause adverse effects if it is ingested, especially if these seeds are used on a daily or regular basis. Studies according to the PAN Pesticides Database show that intake of rotenone can induce abdominal cramps, diarrhea, convulsions or vomiting. Therefore, it is essential to ensure that there are no seeds on the mullein plant flowers before using them for preparation of mullein tea. Women who expecting or breastfeeding should avoid drinking tea prepared from mullein leaves or flowers on a regular basis due to its potential harmful effects. In general, mullein leaf tea is a safe herbal brew for individuals to drink on a regular basis. But some studies have shown that frequent use of mullein can lead to skin irritation. Using the mullein herb in the form of liquid extract or brew as a topical application can cause skin rash, redness or other severe skin problems. Use of mullein tea might cause difficulty in breathing in some individuals. Some of the adverse effects of mullein leaf caused in respiratory system include difficulty during inhalation, constriction in the chest, and tightness of the throat and chest wall inflammation. Mullein leaf tea can cause other side effects in people who drink it on regular basis, but none of them have been known to be serious or dangerous in nature. A few of the other side effects of mullein leaf tea consumption include unusual fatigue, lethargy, inflammation of the lungs or skin and confusion connected with the hypnotic effects of mullein. Mullein tea should not be used by children, pregnant women or nursing mothers without prior consultation with doctor. Mullein tea contains coumarin, which may elevate the chances of bleeding when ingested together with drugs that raise the risk of bleeding. 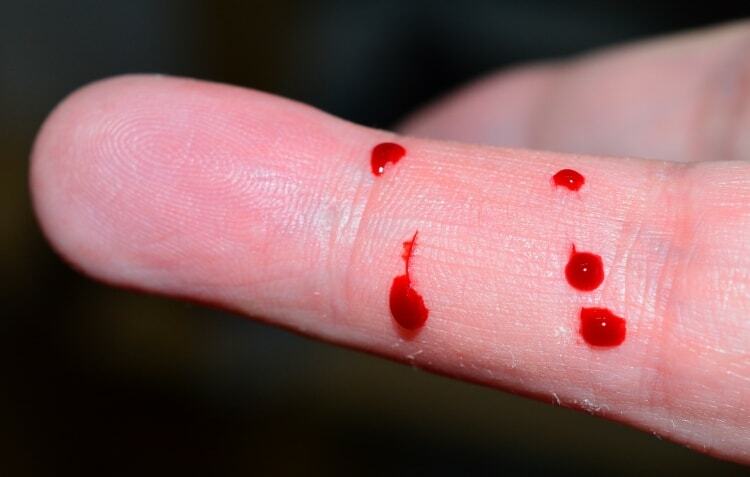 Such as heparin, aspirin, warfarin (Coumadin®), anti-platelet drugs for example clopidogrel (Plavix®), and non-steroidal anti-inflammatory drugs including ibuprofen or naproxen. The ingredients for mullein tea include mullein leaves or flowers obtained directly from a healthy plant or bought in dried form from a local herb shop. Caution must be exercised when handling the leaves because they can cause contact dermatitis. Folk herbalists used to brew a pot of mullein tea by steeping seven fresh or dried mullein leaves and some flowers in five cups of boiling water for ten minutes. They strained the tea through a piece of cheese- cloth before consumption to remove any mullein leaf hairs, which could irritate their throat. Aside from the leaves its flowers can also be used while brewing the tea for a sweet taste. But make sure that that there are no seeds as they have toxic effects. Scoop up two teaspoons of dried flowers or leaves. Put a cup of water on stove and when it begins to boil put mullein leaves and flowers in it. Cover the boiling pot with its lid and steep it for about ten to fifteen minutes. Use a strainer or even a coffee filter to filter the infusion well so that mullein tiny hairs are removed as they can cause allergies or throat irritation. Add milk or honey according to taste. Do not use mullein that is growing wild or picked up from parking lots or along roadways, since it may have toxins. Brew the tea as described above for a calming, naturally sweet expectorant infusion that will help ease even the most stubborn, wheezy coughs. Prepare the tea according to directions given above to relieve symptoms of common cold. This formula works especially well for people who rapidly develop bronchial problems whenever they contract a simple cold. Prepare the tea mixture as told before. This tea, enforced with a good diet, copious amounts of sugar-free liquids, aids the liver in filtering out toxins and cleansing the skin of impurities. For treatment of hemorrhoidal irritation, prepare a strong mullein tea with two tablespoons of mullein flowers or leaves and one quart of water. Steep and cool it and make certain that you strain it scrupulously. Apply to affected areas two to three times a day or after urinating. Mullein tea is quite beneficial for your health. Thanks to its anti-inflammatory effects it may be helpful in treatment of various conditions, such as cold, flu, asthma, allergies, bronchitis or tuberculosis. It also soothes wounds and sores and has potent analgesic (pain killing) effects. On the other hand mullein tea has some side effects to be aware of. The most important adverse effects are abdominal discomfort (pain, diarrhea, convulsions or even vomiting) due to content of the substance called rotenone. The post also features 4 recipes with mullein tea for easing symptoms of conditions like hemorrhoids, acne, common cold or cough. Before taking any mullein tea you should always consult your physician and ask him/her for advice. Do not drink mullein tea without prior consent of your doctor!